See below for the list of our upcoming events and conferences. Click on each event for more details or visit the society’s website. 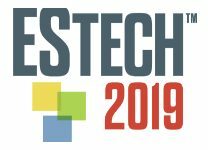 Now in its 65th year, ESTECH is a leading conference for professionals in three distinct fields: Controlled Environments/Cleanrooms, Environmental Testing, and Nanotechnology Facilities. ESTECH offers more than 100 opportunities to learn, network, influence, grow, and contribute to world progress. Join us for a great lineup of seminars, training classes, Working Group meetings, and networking events. Advanced technology, scientific developments, applications and solutions… Facility managers and “Cleanroom professionals” who design and engineer “extraordinary spaces” for facilities, will come together at the “one and only” Cleanroom Exhibition of Turkey in İstanbul.